70000 Tons of Metal starting in four months – are you with us? 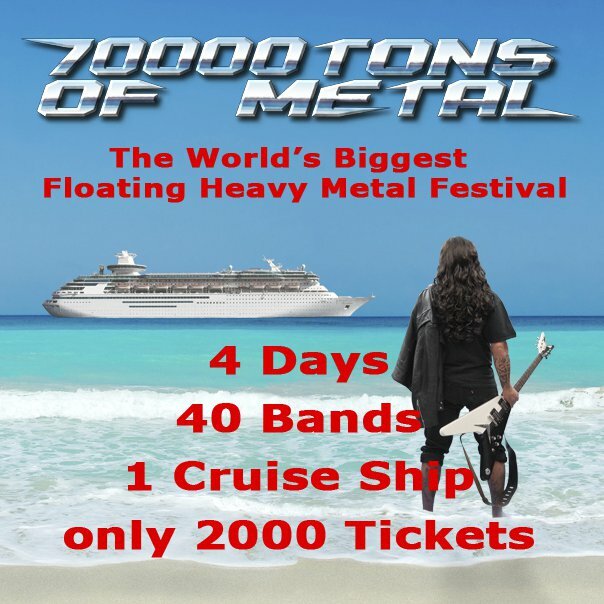 In 4 months, on January 28, 2013, 40 Heavy Metal bands and 2,000 fans from all over the World will set sail for round 3 of 70 000 TONS OF METAL, The Original Metal Cruise: Home of the biggest open air stage to sail the oceans! Edit 02.10.2012 – ALL THE LANYARDS HAVE BEEN SENT, the campaign has ended.